There are various gates into the city, but two of them stand out in particular, the Justice one and the one known as Puerta del Vino (wine gate). 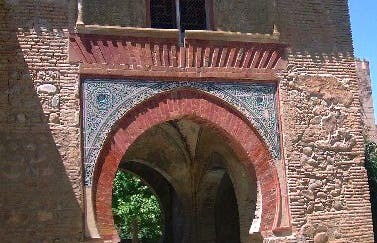 Its importance lies in the fact that it is the oldest of all gates and dates back to the period of Mohamed, creator of the Alcazaba during the 13th century. Today it has the same purpose as it did when it was created: main access to La Medina. It is the only direct gate one can find in the city, since it does not have any defensive purpose and therefore does not have any hidden corners.